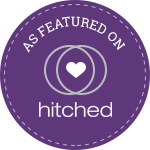 As a wedding planner based in Essex surrounded by an ever increasing variety of dry hire wedding venues. I have witnessed a steady rise in couples choosing to go down the dry hire route. Unsurprisingly, many engaged couples are attracted to this option because of the creative and financial flexibility they offer. In simple terms dry hire refers to the hire of the venue space only. Therefore, you are hiring a blank canvas in which you will be hosting your ceremony, reception or both. For any couple choosing this option they will at first be excited at the challenge of creating an unique celebration which they can share with their family and friends. However, the task of organising such a wedding can soon start to become overwhelming. Especially as you will have no venue co-ordinator to prompt or advise you when making the important decisions that could make or break your special day. The key point to remember when working with a dry hire venue is to assume nothing. Therefore, before making your final decision ensure that you have received a detailed list from the venue confirming what is included within their venue hire charge. In some cases facilities such as power, water, heating and toilets may not be included. Another important point to consider before committing to a dry hire venue is your budget. Whilst at first glance a dry hire venue can seem considerably cheaper than a standard wedding venue. In reality once additional costs such as catering, catering equipment, furniture hire, bar hire, decoration and staff to name a few have been added to your budget the cost will soon start to increase. Building a reliable team of suppliers who are experienced in working with dry hire venues will assist you immensely. In fact they will probably be able to offer assistance on points that you may not have considered, such as gaining access to set up and clear down your belonging and applying for any licences that may be required. Please also remember to delegate. Involving family and friends with your wedding preparations is a great way of making your nearest and dearest feel part of your special day as well as providing valuable support to you. Finally, if you love the idea of hiring a dry hire venue but in reality you do not have the time to dedicate to such an important task, why not consider investing in a wedding planner? Most planners will be able to offer a variety of planning services allowing you to chose exactly when you require their assistance. You may decide that you would prefer to have a planners guidance throughout your whole planning journey. Alternatively, you may chose to work with a planner throughout the countdown to your wedding so that they can help to bring all your plans together. One thing is for sure, find the right wedding planner and they will work alongside you to make sure that your wedding day is everything you dreamed of and more.